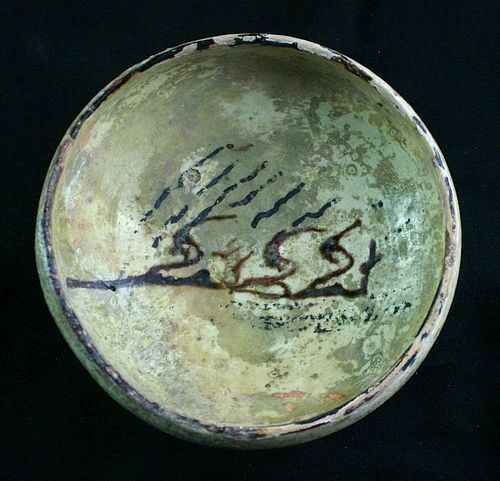 A choice & rare islamic pottery bowl dating to 10th-12th century AD. The bowl has a greenish white glace with some wear due to age. The bottom of the interior is decorated with a calligraphic symbol.